I purchased the Too Faced Chocolate Bon Bons Palette quite some time ago, but I’ve been putting it to the test for review! First of all, can we just admire the packaging of this palette? I feel like Too Faced has really been stepping up their game in terms of marketing their products. And let’s be real here–what beauty junkie doesn’t enjoy a beautiful palette?! I definitely give the packaging an A+ for creativity. 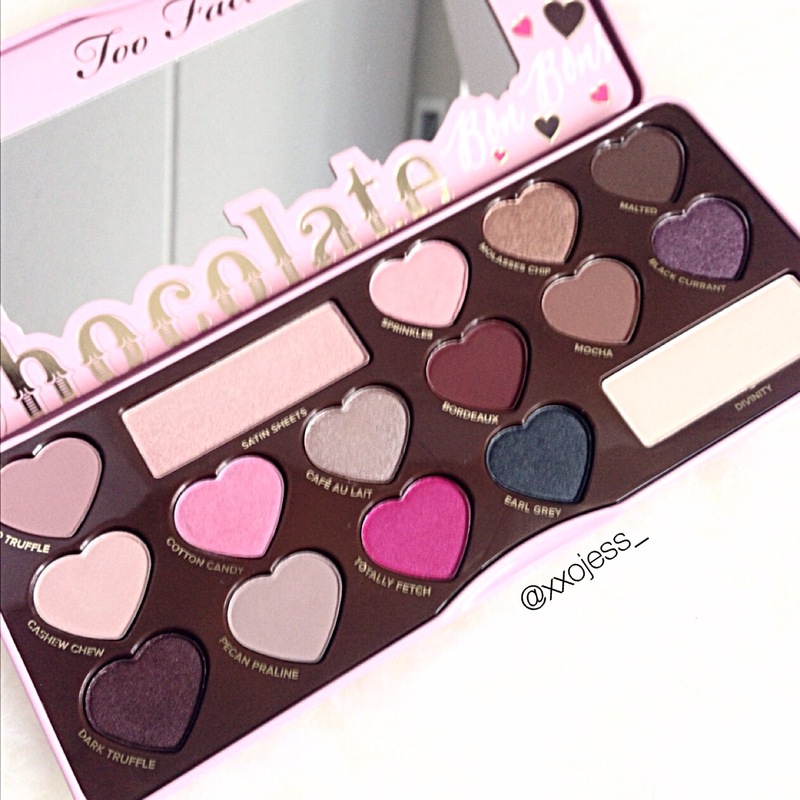 This is the third ‘Chocolate’ palette released by Too Faced, and it definitely did not disappoint. I have the first one, but skipped on the second as the colours didn’t really stand out to me. This palette definitely has some neutral colours that I gravitate towards, but also added a pop of colour which I appreciate. I honestly enjoyed this palette a lot more than I initially thought I would, and I’ve come up with a few interesting looks so far using this palette. The names are cute as always (Too Faced always has creative names!) although I checked the ingredients a million times to make sure it was safe for me (I have a peanut and nut allergy! And yes, it is all good!). I feel like some of the colours in the palette aren’t as pigmented as others, but overall I am pleased with this palette. I don’t think it is a must have for those who just want a palette and doesn’t collect makeup, but for the beauty junkies I think the packaging really entices us to buy it. Plus, it smells like chocolate. Yum! The first row of the palette is definitely my favourite row. 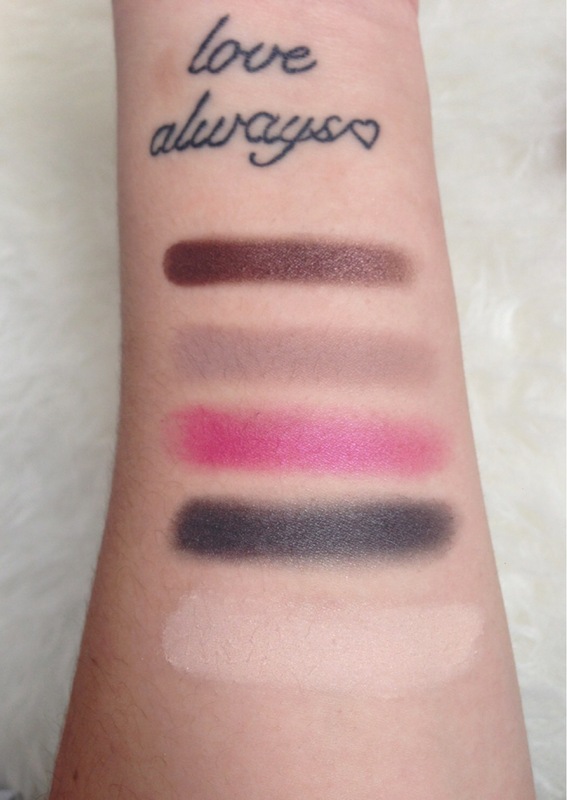 It is the most ‘neutral’ row of the palette in my opinion, but the pigmentation and blend-ability is really on point! The third row of the palette is probably my least favourite as there are a few colours I would less likely use, such as the pink and blue/green shade. I think if you are a beauty lover like I am, this would be a lovely addition to your collection. 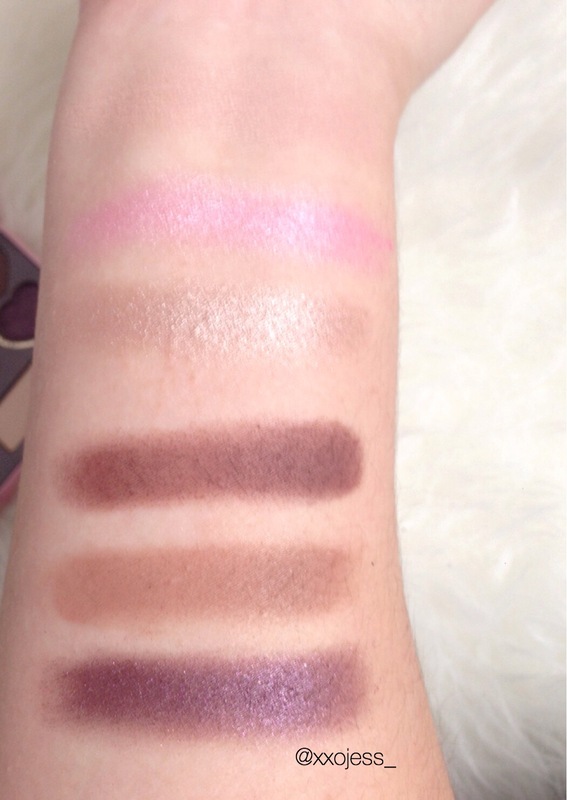 What do you all think of this palette?